Pieta Brown is Greg Brown’s daughter and married to Bo Ramsey, a longtime musical partner of Greg Brown. So you could say the apple doesn’t fall far from the stem, listening to Mercury. It’s released on Red House Records, the label Greg Brown releases his albums on as well (and that he founded back in 1981) and does feature Bo Ramsey, who delivers his always outstanding and tasteful guitar work throughout the album. In contrast to Ramsey’s fine 2008 album Fragile (see my review here: http://wp.me/p3wknx-4t) he’s accompanied by another guitar player, Richard Bennett, on most/all tracks. Another (rather more prominent) guest on the album is The Dire Straits’ Mark Knopfler who is playing another guitar on So Many Miles. 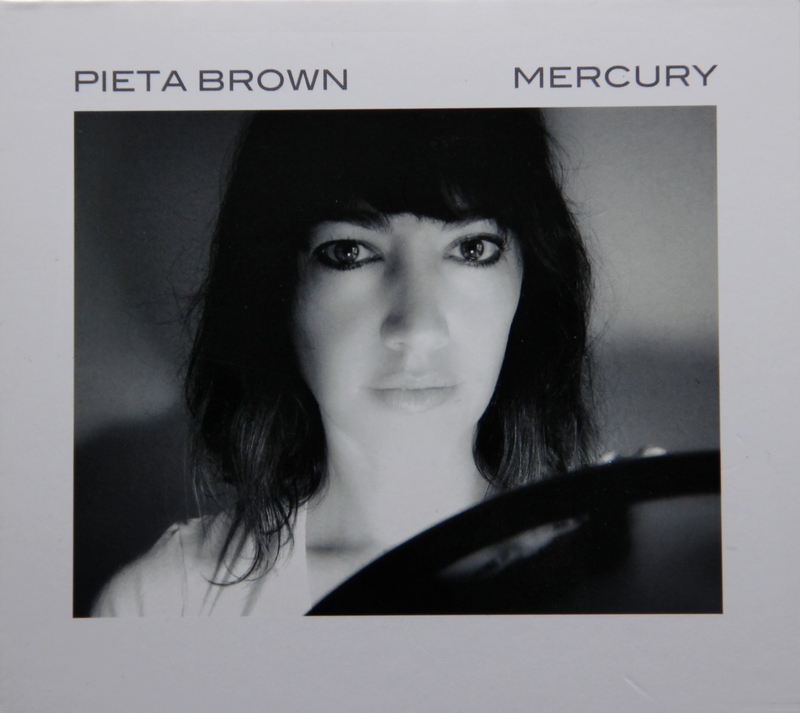 It’s the first album by Pieta Brown I bought (but it won’t be the last) – and I like it a lot. The sound is a bit more contemporary than on either Greg Brown’s or Bo Ramsey’s albums, but that’s of course completely natural, given she does belong to a different generation. It doesn’t mean though that she doesn’t sound like a young women very much informed by her upbringing and (thankfully) possessing none of the hip big city vibes you could expect. The sound is both modern and rustic at the same time, her voice the most defining characteristic on the album, at once a bit childlike and clear as well as self-assured and a tad raspy, hard to describe for me, but easy to love. Naturally for me, the tracks with the least musical accompaniment are the ones I like best, namely I Don’t Mind or No Words Now (which isn’t THAT stripped down, but extremely lovely nevertheless). The album starts with the life-affirming and up-tempo Be With You, the next track Butterfly Blues is a fine showcase for Bo Ramsey’s trademark economic, bluesy lead guitar work – but it’s more than that, as it’s also an excellent song. Title song Mercury and the following How Much Of my Love are some of the more dreamy songs very well suited to her voice. I’m Gone and I Want It Back are lyrically, and in the case of I’m Gone musically, some of the more muscular and self-confident songs, the first one a fast(ish) Blues-Rock song and the second a slow, gorgeous Blues-Pop-Waltz song with a lovely string accompaniment. Night All Day is the only track I find quite hard to like, a bit too bluesy for my taste. Closing Time is somewhat disappointingly not the Tom Waits song (would have loved to hear what they could have made out of that) but it’s a splendid song nevertheless. I rather like Glory to Glory a lot too – its fun, with a number of varied guitar parts, one of it sounding slightly old-timey, and I love the simple drums/percussion work on it too. Mercury is a brilliant album and Pieta Brown well above most the other female Country-Folk-Pop artists of her generation, both as a songwriter and as a singer if you ask me. This entry was posted in Music and tagged Alternative Country, Bo Ramsey, Folk-Pop, Greg Brown, Music, No depression, Pieta Brown, Singer/Songwriter. Bookmark the permalink.